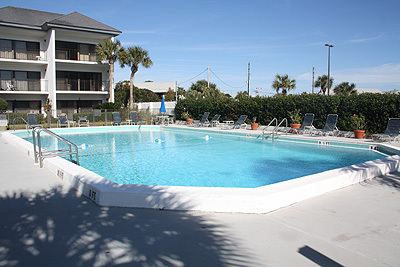 90 Seconds to Beach, Poolside Unit, Wifi! 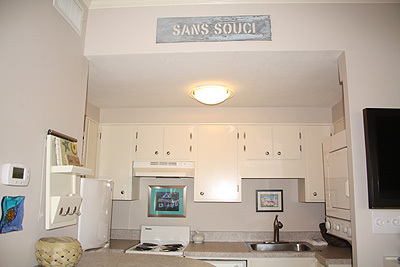 Named Sans Souci for "No Worries" this corner, ground floor, pool side, well appointed condo has everything you will need for a carefree relaxing vacation at the beach. 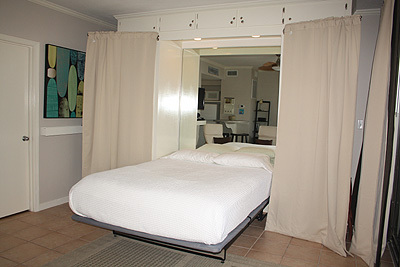 This upscale studio has recently been updated to a coastal design theme and plush queen murphy bed to maximize the open floor plan. 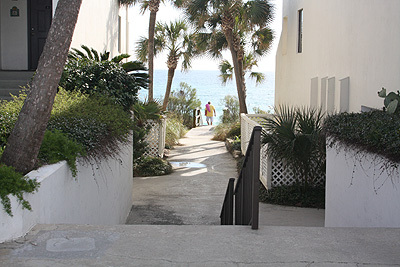 The beach is literally only about a 90 second walk away. 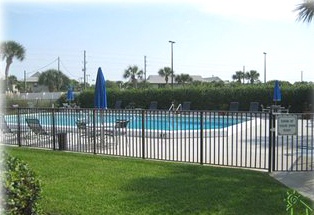 A view of the community pool can be seen from the patio as it is only about a 15 second walk away. 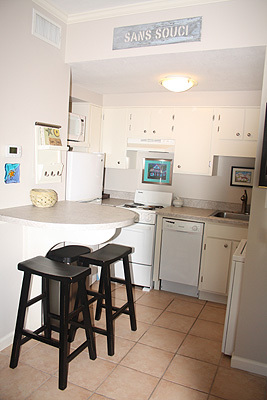 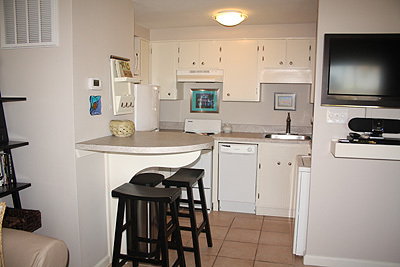 The unit has a full kitchen with apartment size stove, refrigerator, dishwasher, and microwave. 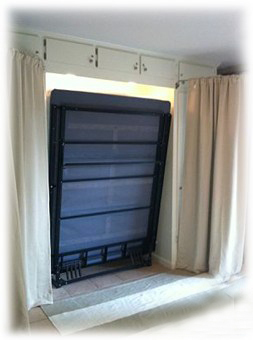 The bed is a queen-size Murphy bed that is easy to tuck away when not in use. 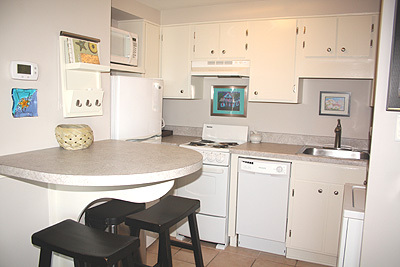 The unit also has a DVD Player, Ipod Player, and wireless high-speed Internet access if you bring a laptop computer. 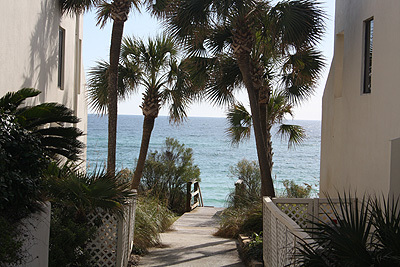 Emerald Hill condos are a beautiful, well maintained beachfront complex ideally located in the heart of Seagrove Beach Florida only about one mile east of the resort community of Seaside where there are restaurants and shopping and right across the street from Seagrove Plaza where there is Brunos Pizza and movie rentals. 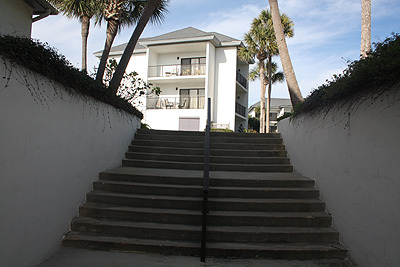 Plenty of other fabulous restaurants and excellent shopping are just a short walk, bike ride, or drive away. 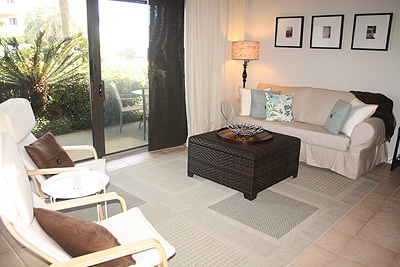 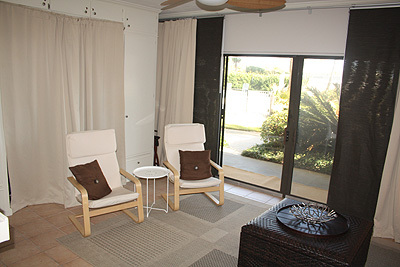 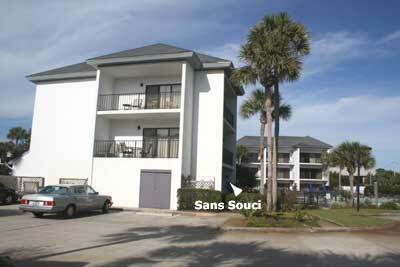 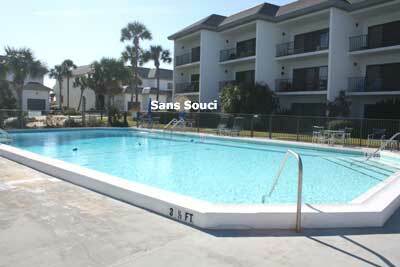 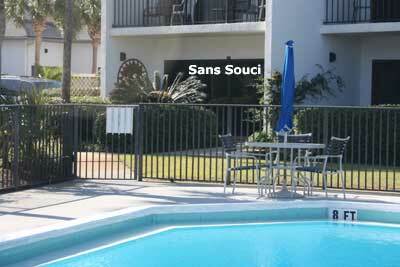 San Souci - "No Worries"
* Thanksgiving and Christmas requires a minimum 3-night stay at $75/night. 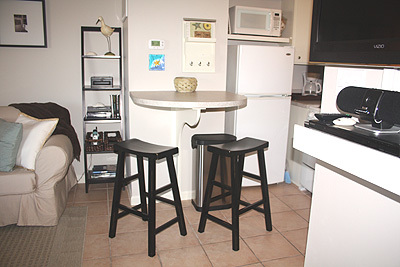 * New Years requires a minimum 4-night stay at $75/night. 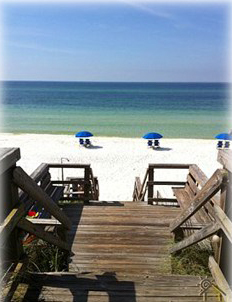 * If wanting to stay only 3 nights, an arrival day other than Friday is usually preferred in most seasons unless last minute. 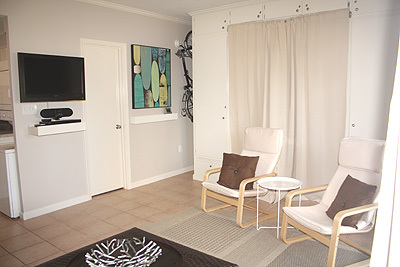 Shorter stays will be considered closer to an arrival date if the condo has not booked. 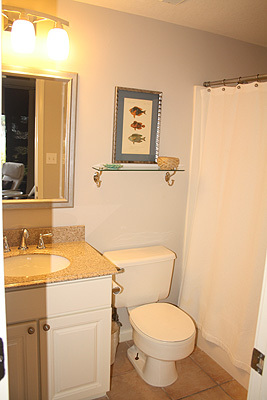 Note: Until confirmed, rates are subject to change without notice. 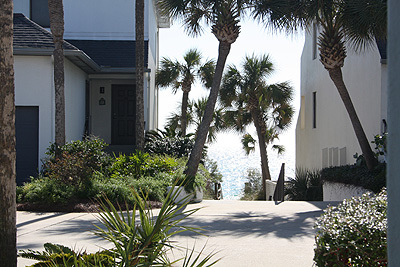 Florida State and local taxes are subject to change at any time. 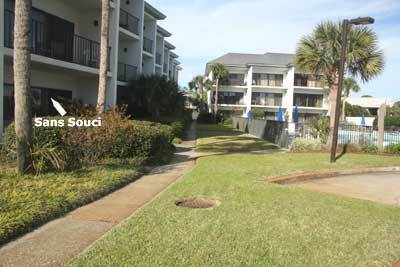 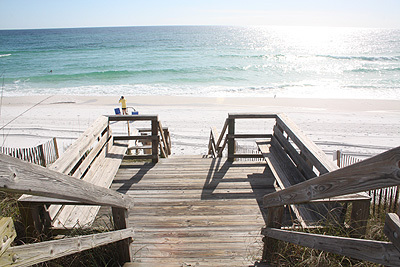 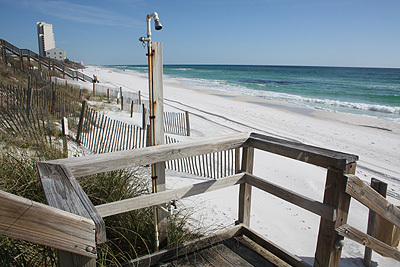 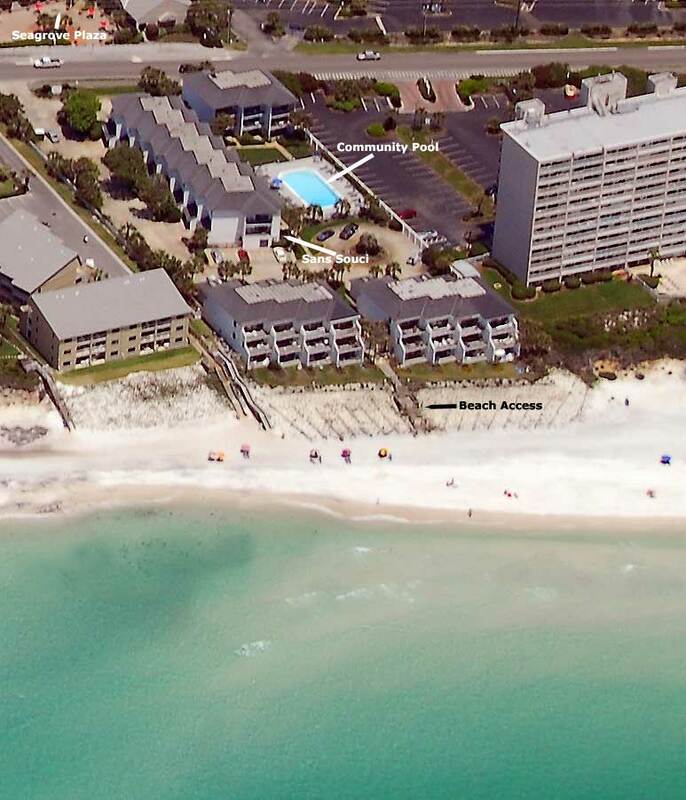 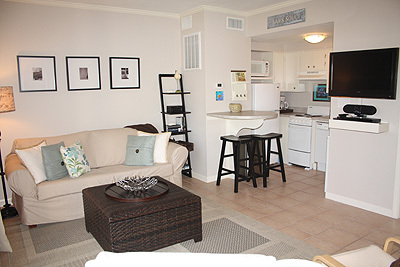 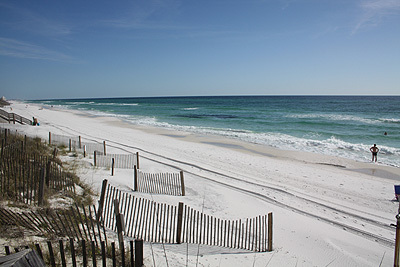 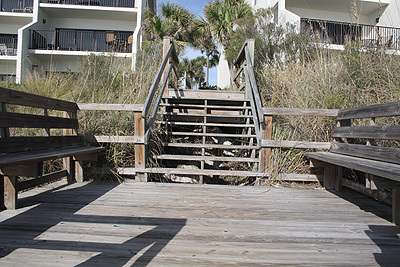 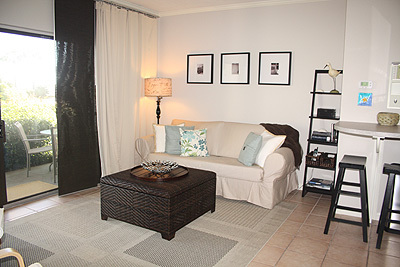 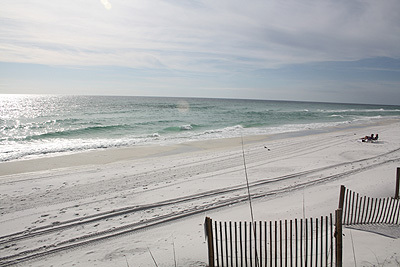 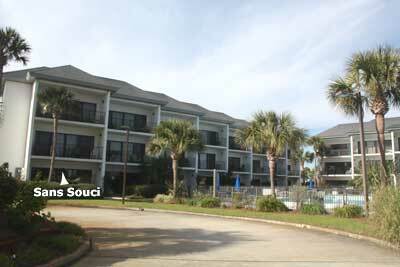 Call 850-622-3304 to reserve this condo or other vacation rentals.